You are at:Home»Herbs»Lactuca sativa Linn. Latin name : Lactuca sativa Linn. 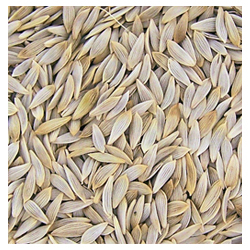 Description : The seed is anodyne, antispasmodic, cooling, mildly diaphoretic, diuretic, expectorant, hypnotic and sedative. Useful in insomnia, cough, acute and chronic bronchitis, asthma and pertussis. Also useful in palpitation, insanity and erectile dysfunction. It stimulates the urine elimination, very appropriate in those cases in that it is necessary to stimulate the kidneys to increase micturition, in illnesses like obesity, benign prostatic hypertropy (BPH), arterial hypertension, oedema, nephritis, kidney stone, cystitis, etc. The oil from the seeds prevents fall of hair, headaches, insomnia and is a brain tonic if applied to the head and a drop or two is instilled in the ears and nose. Recommended Dosage : 3 to 5 g powder of seeds.